At Biosphere we develop certifications to guarantee an adequate long-term balance between the economic, socio-cultural and environmental dimensions of a Destination, reporting significant benefits for a tourism entity, society and the environment. Ensuring compliance with a series of requirements based on the principles of sustainability and continuous improvement, we offer the opportunity to companies in the sector to design products and services with a new model of non-aggressive tourism, satisfying the current needs of customers and users, without compromising future generations. The BIOSPHERE© certification is granted by the Responsible Tourism Institute (RTI), an independent body created in 1995 with the aim of promoting sustainable development actions and programs in tourist destinations and companies. The RTI was born supported by UNESCO through a Memorandum of Understanding that has made possible the development of activities, projects and cooperation events between both organizations. The RTI is a founding member of the Global Sustainable Tourism Council (GSTC), sponsored by the United Nations Foundation. The Responsible Tourism Institute (RTI) has been leading the contribution of tourism to Sustainable Development for more than 20 years. It was born following the World Conference on Sustainable Tourism (1995) with the sponsorship of UNESCO, the UNWTO, the United Nations Environment Program (UNEP) and the European Union (EU). Since then, the mission of the RTI has been the promotion of the principles of the World Charter for Sustainable Tourism (approved in that Conference) and all the guidelines and precepts on Sustainable Development promoted by United Nations. Greater competitiveness through the adoption of sustainable practices: savings in water and energy costs and marketing value. Resources to improve sustainability: Access to back-office resources to support the sustainability offer and, online Sustainability Training. Access to a wide range of tools and information through the network and resources of the RTI. Communication through the Biosphere platform of the entity's sustainability and good practices. Positioning in the portfolios of tour operators and their sales channels in a prominent way. Profile in OTAs and specialized websites. Transfer Sustainable Development to the tourism world through the 17 SDGs and other guidelines and precepts on Sustainable Development promoted by the United Nations. The RTI held a series of International Conferences where the BIOSPHERE© methodology was agreed upon the sponsorship of UNESCO and UNWTO during the International Year of Sustainable Tourism for Development. Engage all tourism stakeholders and the general public and raise awareness on the importance of improving the contribution of tourism to sustainability. 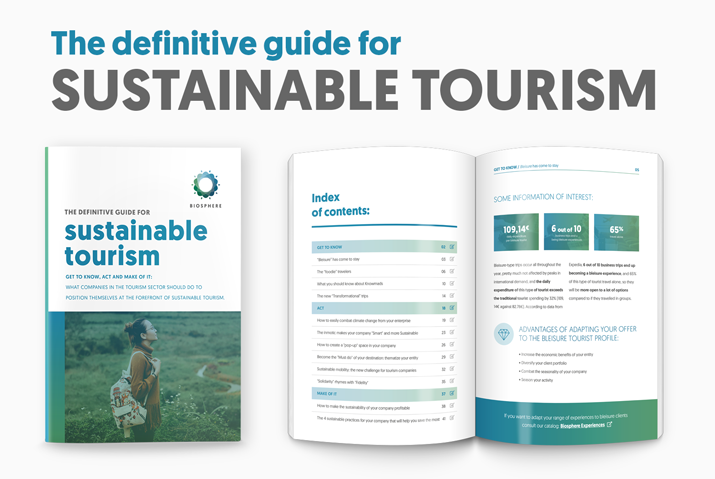 The Biosphere standard is therefore the adaptation to tourism of the 17 Sustainable Development Goals (SDG), through the analysis and indicators of the UNWTO, Global Compact, the EU indicators and the criteria of the Global Sustainable Tourism Council (GSTC). The work of the RTI has been awarded numerous times since its creation, such as the European Environment Awards (2000), a special mention in the Green Wood Awards for Environmental Responsibility (2005) and the International Environmental Award (2006), issued by TUI AG, among others. 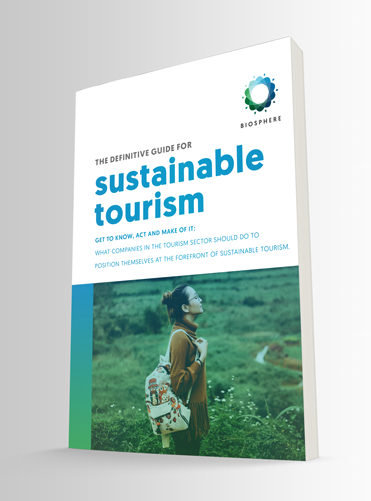 More than 35 million tourists visit destinations, stay in hotels and buy services whose sustainability efforts have been validated by Biosphere. The Responsible Tourism Institute (RTI) is an international organization that promotes, for more than 20 years, responsible tourism at the international level. The RTI was born with the support of UNESCO through a Memorandum of Understanding that has allowed throughout the years the collaboration between both organizations and promotes sustainable tourism through the Biosphere brand. With the aim of helping the actors involved in the tourism sector to develop a new way of traveling and getting to know the planet, the RTI develops tourism activities and projects that are governed by the principles of sustainable development, actively collaborating with various business associations of the sector, governmental and non-governmental organizations, in developed and developing countries. Expand your knowledge in tourism. Take our sustainable tourism courses with professional tutors assigned personally and receive all the tools, material and information necessary to become an expert in the sector. As a fundamental part of the necessary transition towards sustainable tourism, the Responsible Tourism Institute has developed different meetings and conferences of local and international scope. Those who join the sustainable commitment create Biosphere experiences in the Destinations, promoting the exchange of good practices and contributing to achieving continuous improvement.